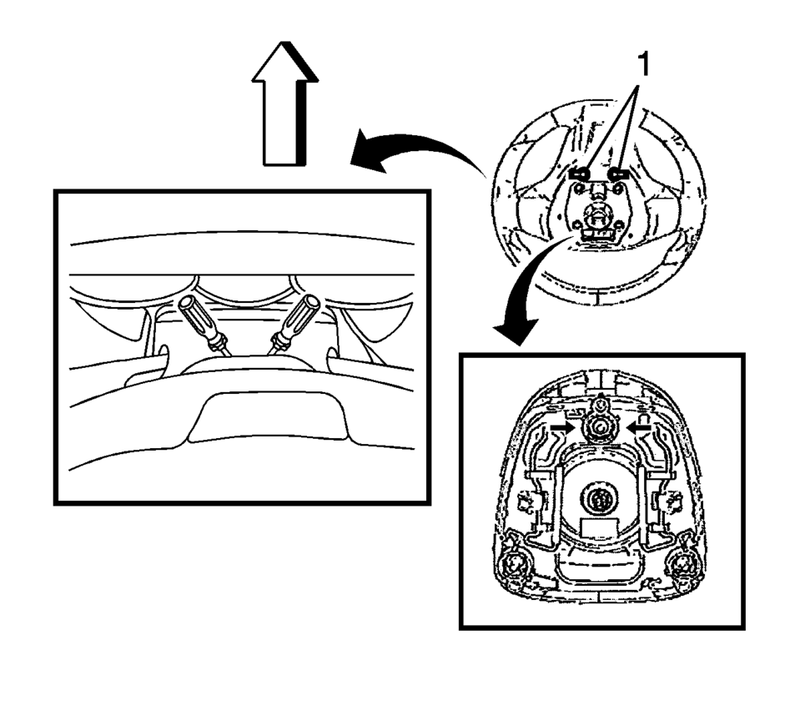 Rotate the steering wheel 180 degrees. 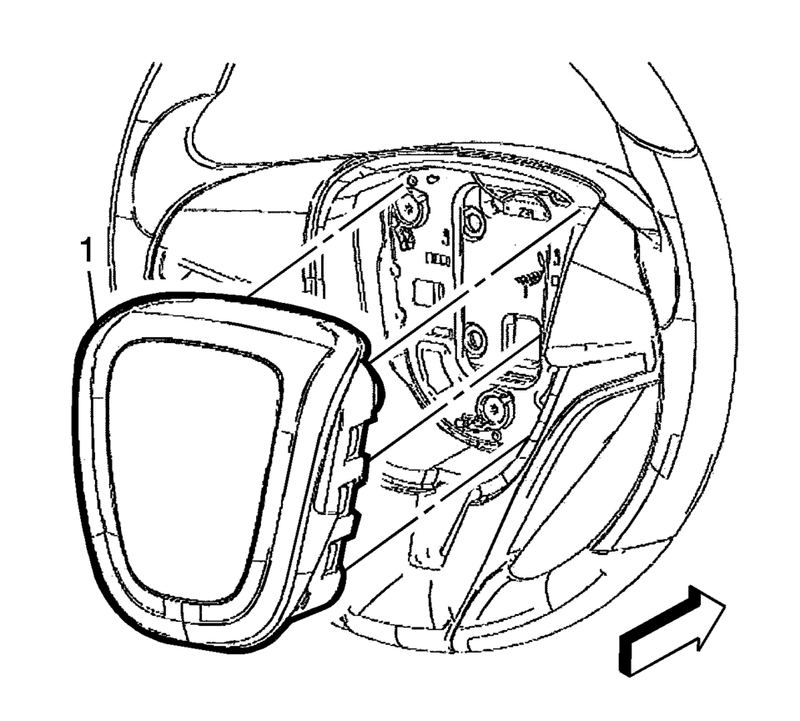 Using a blunt-ended tool, push the spring fastener inward through the access hole (1) located on the rear of the steering wheel by pulling the tool outwards. 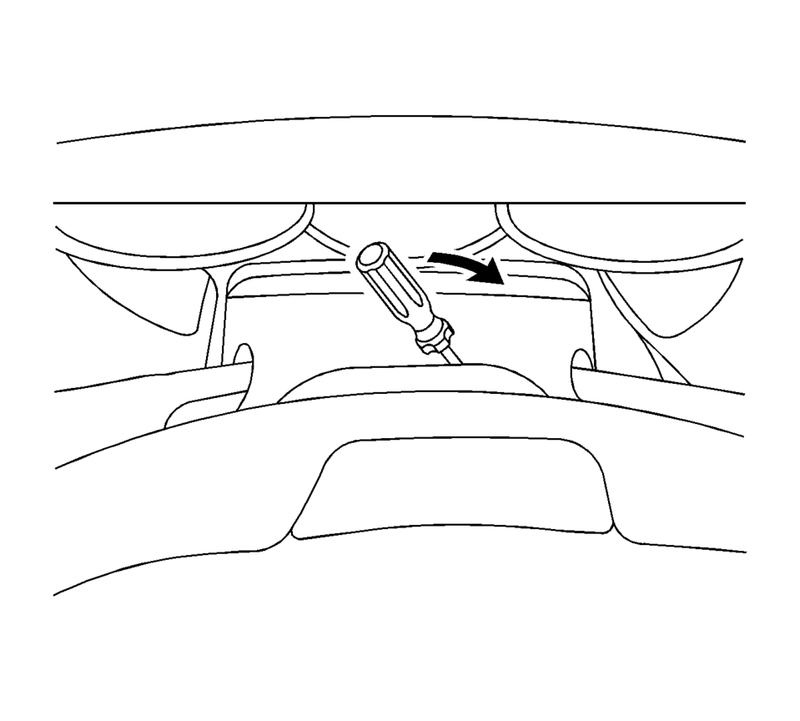 Push the steering wheel module (1) firmly into the steering column in order to engage the fasteners.